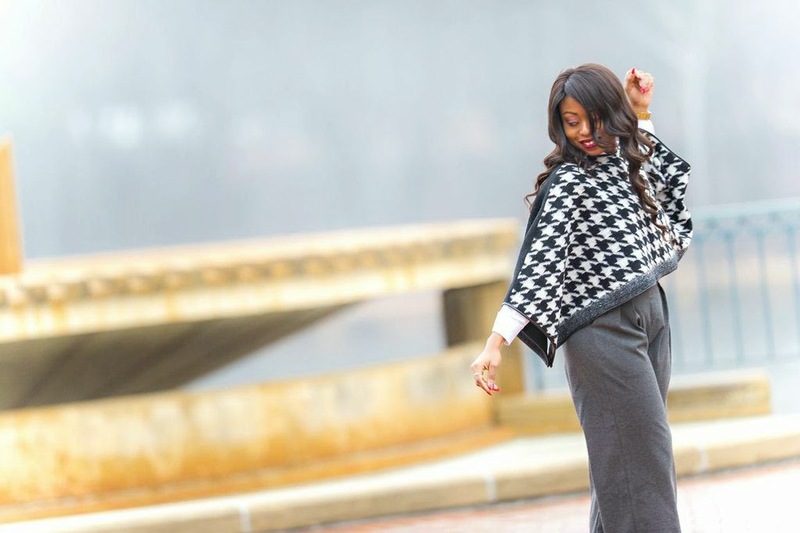 Yippie… It’s Christmas Eve. We had a rainy morning and I guess we are not having a white Christmas this year. I am looking forward to a relaxing and fun holiday. Do you have any special plans? 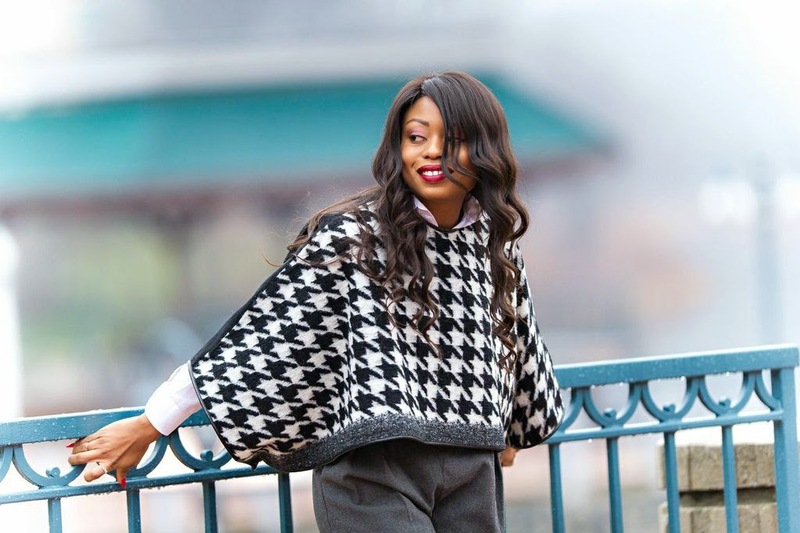 Lately, I have been paying attention to clothing items with houndstooth prints particularly this Chicwish houndstooth cape. It was in my online cart for a while before I purchased it. 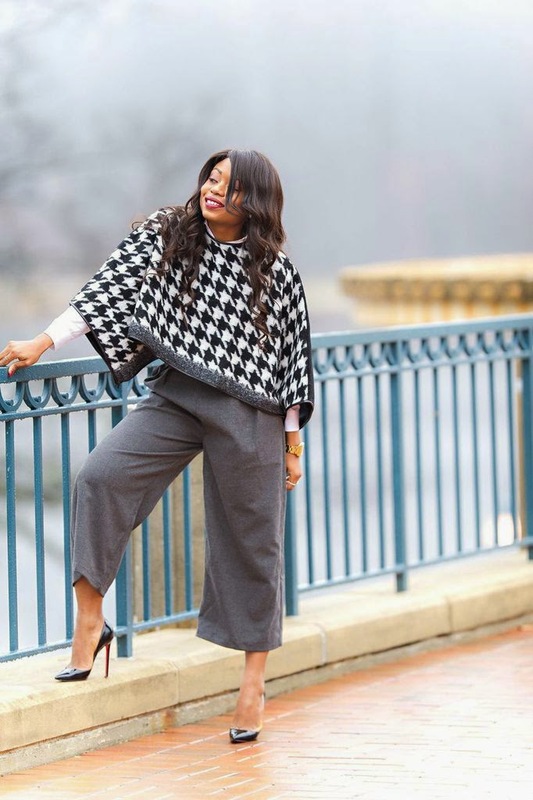 Houndstooth prints are simply classy and I love the length and details of this Chicwish pair. 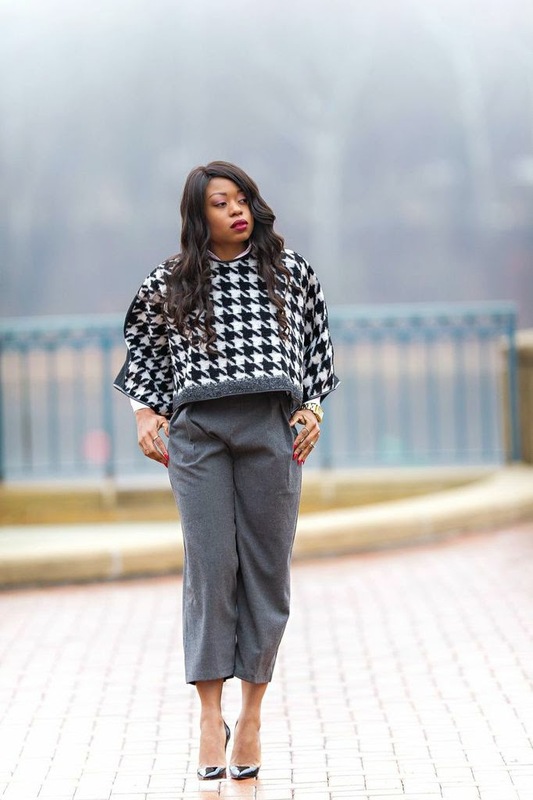 It can be dressed up or down and I will restyle it shortly. 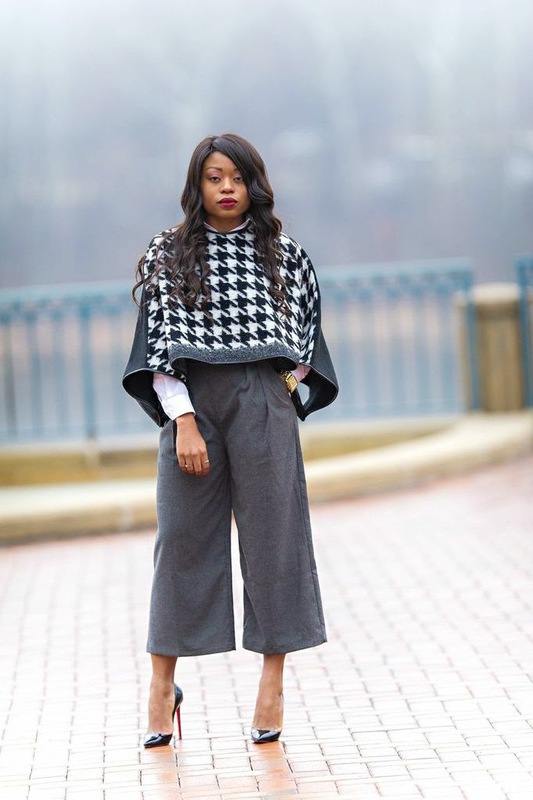 Houndstooth is definitely a trend to look out for next Spring/Summer. Cheers! Have a Merry Christmas and Wonderful Holiday! 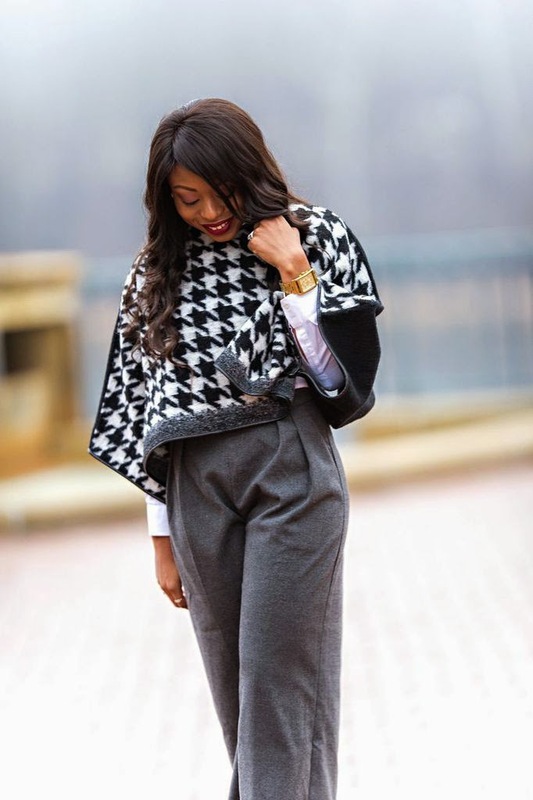 Love this cape! Hope you and your family had a Merry Christmas!